Congenital heart defects (CHDs) are among the most common inherited birth defects. 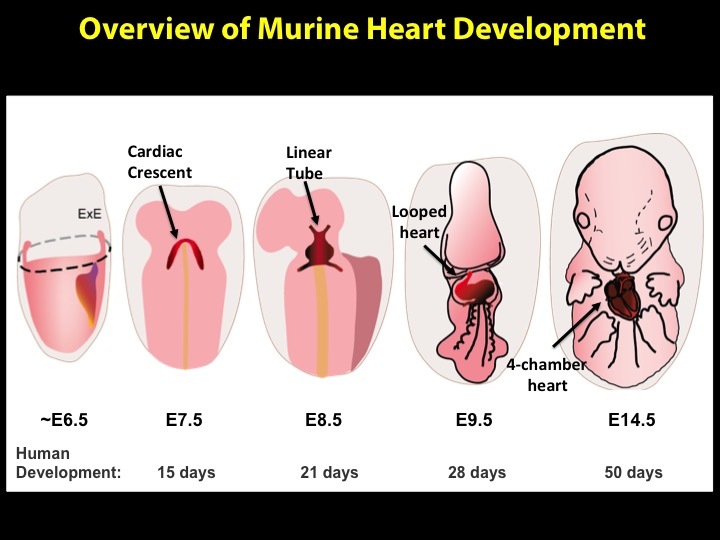 The heart is also the first organ to form (and to function) in the developing mouse embryo. Heart development is dependent upon a complex cascade of transcriptional events. Accordingly, mutations in the coding sequences of several transcription factors (Tbx5, Sall4, Nkx2.5, Gata, and others) have been identified as the underlying cause in congenital cardiac malformations. We are particularly interested in septation defects, although a whole host of defects are possible. For more, check out this review.